2. The Bahamas are an example of a(n) ___________. 3. Science is a(n) ________ process. 5. 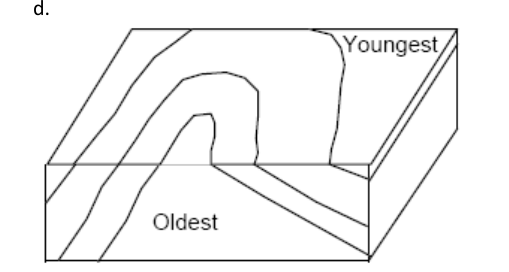 What type of fault is depicted in the cross section above? 8. The structure shown in the diagram above is a(n) ________________. 11. 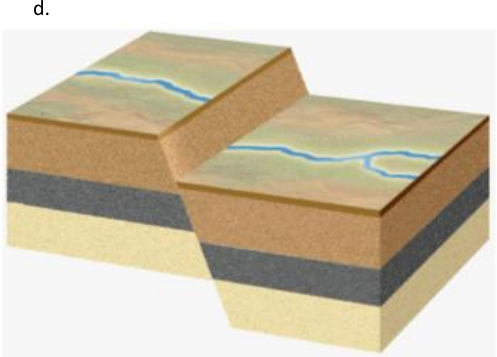 The parallel alignment of mica in a metamorphic rock is an example of _________.